On the 1st of July 2015, Cubans had for the first time access to legal Wi-Fi Internet connections. In Santiago de Cuba, Wi-Fi antennas were installed in four access points: three in parks and one in a popular back alley. At twilight, many Cubans head for these public areas to connect to the Internet via their mobile phones, tablets and laptops. Most connect to get in touch with their family and friends living abroad. The antennas become the electromagnet around which Cubans sit to catch the best possible connection. This paper explores how people imagine, not only the waves that emerge from the antennas, but more generally, how things travel in the sky. In thinking visually about how Cubans imagine the sky as a space in which things –often invisible –like digital data, bad sights (mala vista) and internal maps, can travel above the rooftops, this paper shows the complexity of the current Cuban aerial imagination. The paper further explores how ‘ethno-graphic’ novels, produced in collaboration with a Cuban artist, can delve into individual stories and narratives, and provide an aesthetic, poetic and sensual engagement with how people imagine things circulating in the sky. 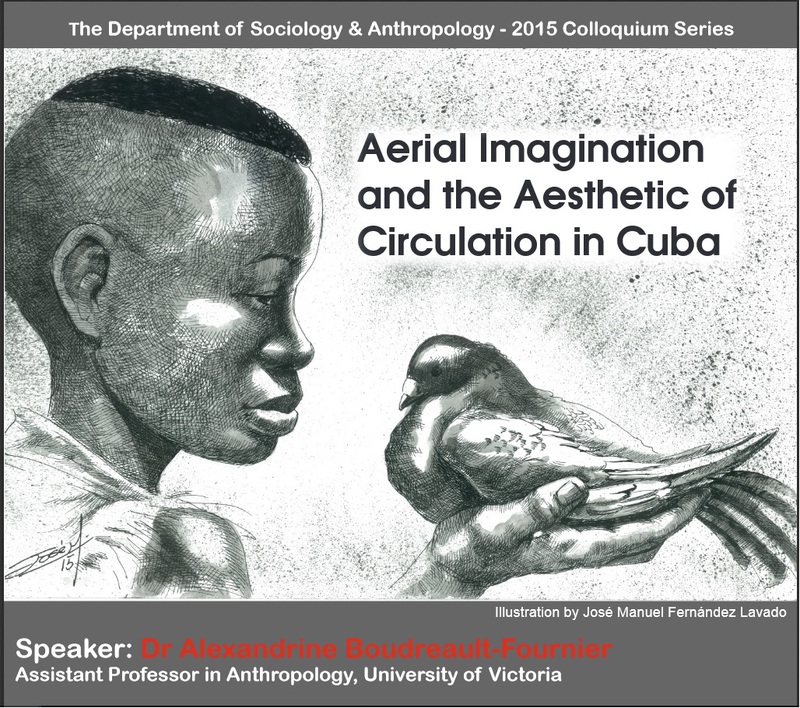 Alexandrine Boudreault-Fournier is an Assistant Professor at the University of Victoria. She teaches Visual Culture, Visual Anthropology and The Anthropology of Sound. She conducts research on youth popular culture, digital data and music consumption and circulation in Cuba since the year 2000. 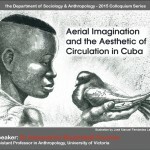 In 2015, she received a SSHRC Insight Development Grant to fund her project “Wires, Waves and Webs: Media Infrastructures and Sonic Aesthetics in Contemporary Cuba.” She directed the film Golden Scars (2010), in part funded by the National Film Board of Canada, and co-directed Fabrik Funk (2015), an ethno-fiction about funk music in the periphery of São Paulo.